Forget worrying about a release date for P5 — at best, we might get a reveal of the game itself at E3 this year. This is somewhat surprising to me, considering that the first news about Persona 5 being in development was back in the summer of 2011. Since then, there’s been no news outside of the information above. The good news is that Persona fans have not been abandoned in the meantime. After Persona 4’s PS2 release in 2008, Atlus has released the definitive version of both of their most popular games (Persona 3 Portable and Persona 4 Golden), as well as a brand-new fighting game (Persona 4 Arena) with characters from the series. But here’s the problem: Arena featured an intricate story mode with with events that took place two months after the conclusion of Persona 4, including an ending that left a lot of questions unanswered. Was this a precursor to Persona 5? Would we see the return of familiar character instead of an entirely new cast? P4Golden was no different — it featured additional content after the conclusion of the main story that explained more about what happened to the characters and Inaba. Still, instead of tying things up for P4 with a pretty bow, it felt like there were still dozens of possibilities for the cast, including a new character who could join the investigation team. Don’t get me wrong: These additional glances at the worlds and characters of P3 and P4 are only a good thing. Seeing so much work put into the story for Arena was amazing (especially by fighting game standards) and Golden turned P4 into one of the best games of all-time. I have no beef whatsoever with receiving more time with some of my favorite characters. My only problem with all this is that it seems like a waste of some great momentum. Maybe that’s why I was a little let down by Sony’s PS4 conference — somewhere in the back of my mind I was hoping we might see a reveal of Persona 5. Some screenshots, maybe, or a logo on a box. To this point, none of that exists; all we have so far is a partial list of the development team and some nebulous hints that the game is “in progress.” Considering that it’s already been five years since the original release of P4, and the series has exploded in popularity since then, I guess I’m just surprised that Atlus is taking this at such a slow pace. Look, I think P5 will be worth the wait, and I certainly don’t want to rush development just to get my giant hands on a game. It would just be nice to get some information to tide fans over while the process continues. And that works, because it leaves me and Yukiko to go off somewhere and…help each other…study. Yeah. Yeah, that was by far the most random part of the series of announcements Nintendo made a few weeks ago, but I’m definitely interested by the potential that crossover has. Persona 4 was the first and only game I had played as well, if you liked it, play Persona 3… I’m playing it right now and its incredibly good. I hope they do an all new cast. 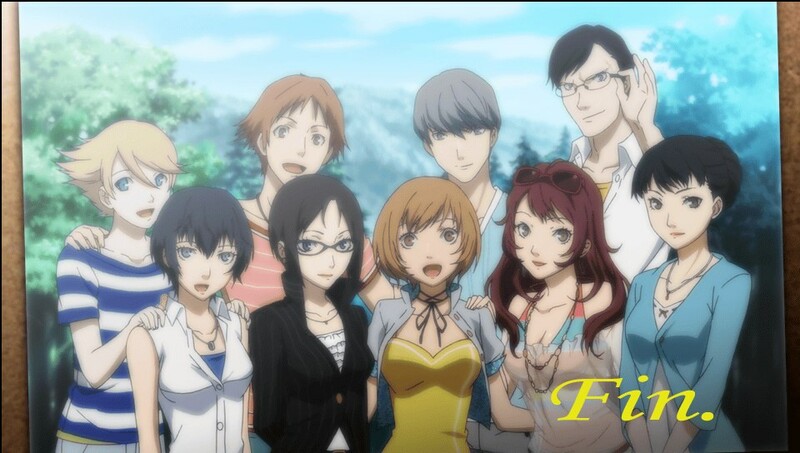 P4 had good characters, but it was a bit too campy for my taste. I want this game to be dark and depressing. I cried during persona 3. I want a dark game. That’s fair. For me, my pick would probably be a brand-new cast with maybe a couple of cameo appearances or loose ties with the earlier games. 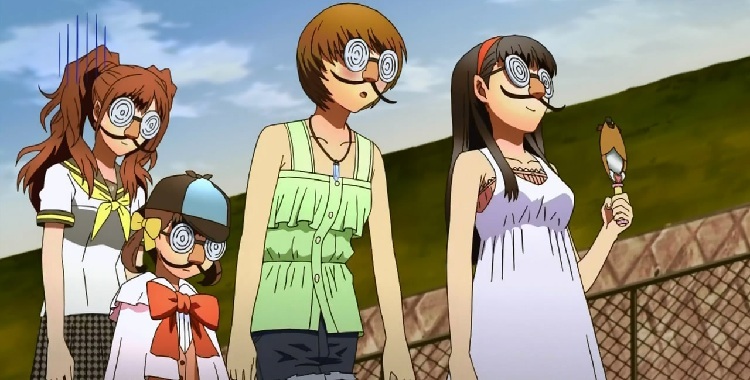 Persona 4’s plot was a little too scooby doo for me, but I loved the characters. Every single one of them stood out (especially Rise.) I definitely preferred the overall dark plot of persona 3 though. A mixing of the two games, as arena might have been hinting at, could be awesome. Thanks for your visit and like! You’ve earned yourself a follower with this great post. You’re right; I hadn’t thought about it, but it has been five years since P4… Hah, I love all those games and have played them each at least twice, but if P5’s coming out for the PS3, that just gives me one more reason to buy one. Well they’ve been working on shin megami tensai soul hackers and shin megami tensai 4 as well. Who knows how long those have been on development. So it stands to reason that persona 5 would come out after. They want to touch base with the 3ds so they can draw more consumers in. I work at a video game store and let me tell you. People killed for the persona 4 collectors and even the basic now. Plus the previous ds games like devil survivor 1 overclocked and devil survivor 2 had limited print runs. The company knows how to entice people by making them buy it day one. The fact no release date has been announced is because its a business strategy. Let the people wait a while, draw in new customers and boom. Instant profit day one.